Our family is dedicated to continuing to play a central role in the revival of Irish whiskey as one of the world’s most appreciated spirits. We are doing this through the recreation of some old recipes from the 19th century, Ireland’s golden era of whiskey distilling, and also through the introduction of innovative new expressions for new palettes in a new era. We are passionate for both innovation and attention to detail. Detail in our choice of location for our distillery in an area blessed by the ingredients and climate to make world-class, premium whiskey. Detail in the creation of a distillery for distiller, visitor and whiskey-drinker alike – where manual operations reign supreme over machine so that innovative small batches can be crafted to perfection. We believe that our passion, innovation and attention-to-detail make a real difference to the enjoyment of people who choose our whiskeys and so they drive our family’s dream to create a legacy of whiskey excellence. Bernard & Rosemary Walsh. 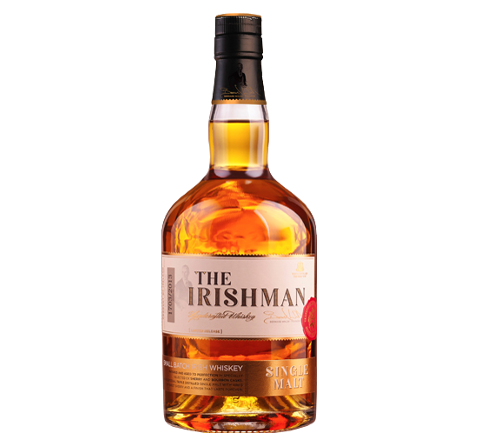 This Irishman Single Malt is one of only a handful of Irish triple distilled single malts on the market. 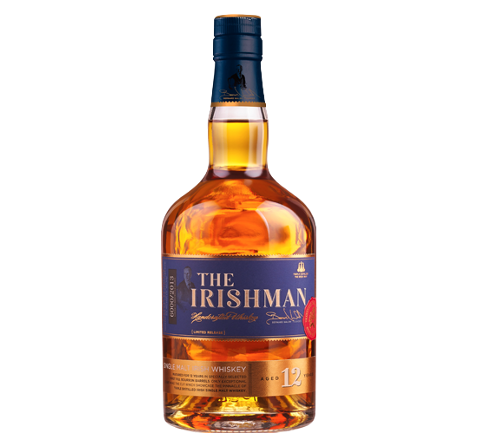 This is a classic Irish Malt, triple distilled and aged in Bourbon and Sherry Casks. Each batch is limited to a maximum of 6,000 bottles. 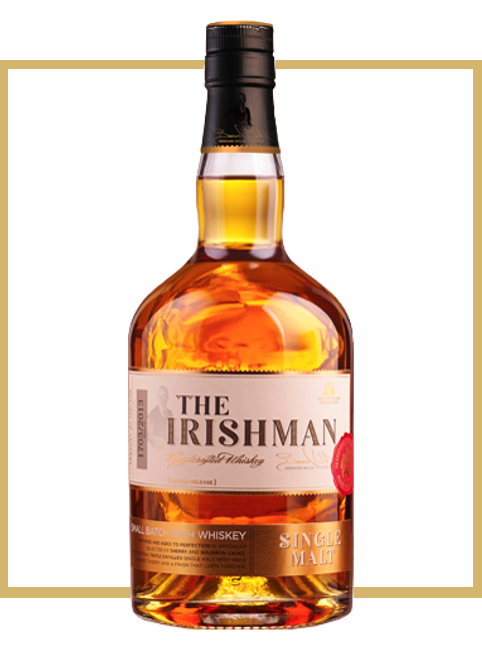 The Irishman Single Malt has won medals both in Europe and the USA for its outstanding quality. None more so than a Double Gold Medal “The World Spirits Competition” in San Francisco and its Gold Medal in ISW Germany. Nose Ripe and fruity with luscious peach, dried apricot, and tropical fruits. Hints of orange blossom and vanilla fudge. Palate Vanilla sweetness, cinnamon and ginger, a little oak, digestive biscuits, apricots, and a hint of coca. Finish Long lingering finish with a light malty flavour and sweet oak. Not so much a finish, more of an encore.